My children, like most, fight constantly. Among the endless things that they find conflict-worthy, they repeatedly quibble over which one of them has endured the most injustice or physical pain. I am often accused of going easy on one of them for a particular disciplinary transgression, or of not properly acknowledging that one person’s bruise is more painful than another person’s papercut. Despite the normalcy of these behaviors, what is actually important about them is not the injury itself, but the power that each hopes to gain by having their injuries recognized as worse than their sibling’s, for like many people, my kids are keen on the idea that if something bad has happened to them, then they “deserve” something good. 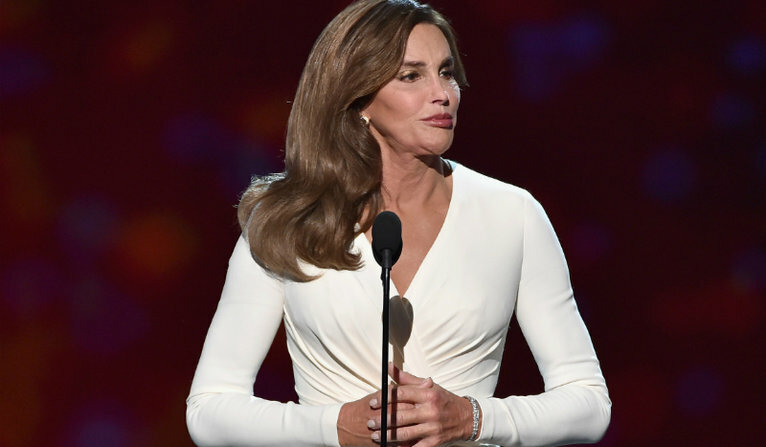 This popular concept may serve as interesting context to Caitlyn Jenner’s most recent publicity outlet; earlier this month, she was named the recipient of the 2015 Arthur Ashe Courage award. The honor was bestowed upon Jenner by ESPN for her contributions to society that “transcend sports,” as ESPN puts it. This contribution, of course, is her decision to live as an openly trans female. 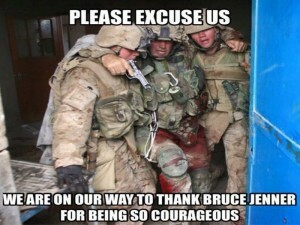 What has been most most interesting to me about this award is the battle that has transpired over whether Jenner has displayed “real courage.” Those who have questioned this have done so on several grounds. Some claim that choosing Jenner amounts to nothing other than a media spectacle wherein the most conveniently controversial athlete allowed ESPN to both attract attention to itself while simultaneously patting itself on the back in a moment of progressive self-congratulation. Such statements remind me of Lauren Berlant’s incisive argument that social ideals are generally formed from two contradictory claims that permeate our cultural thinking. The first notion is that everyone is equal and thus experiences equal rights, a mode of thought that idealizes our culture and turns a blind eye to its privilege and power inequities. The second notion, contrary to the first, acknowledges that not everyone experiences equality, but justifies those who have rights on the grounds that they have earned them. The appearance of hard work is a persuasive act in a perceived meritocracy, but so is pain, Berlant points out, and so less powerful groups are often accused of faking or amplifying oppression or pain in order to gain sympathy for their cause. For example, conservative activist groups often accuse LGBTQ groups of doing this when the latter contend that the anti-gay rhetoric of late sounds alarmingly like the openly racist rhetoric of the past century. The conservative groups often retort that because LGBTQ folks have never been systematically beaten, impoverished, or enslaved, then the race metaphor fails and their oppression is thus not real. There are, of course, some fairly significant logical problems with this point, but if we can return the conversation to Jenner, then it seems that that this same sort of rhetoric is at work. No matter what one thinks of Jenner — her ethics, her career, her identity — she is not being charged with insufficient courage as much as she is insufficient pain. Indeed, those who site her lack of courageousness often focus on the fact that she is famous and appears to have considerable wealth. The actual adversity she may face — that may, in fact, be amplified by her fame — is never seriously examined. This is an important distinction, for the pain one experiences must first be socially sanctioned in order to be recognized. On these grounds, perhaps the controversy over Jenner is more a window into our cultural discomfort with trans identity than it is an actual argument on who has done the most to forward society in the face of challenge or adversity. On these grounds, perhaps the controversy over Jenner is more a window into our cultural discomfort with trans identity than it is an actual argument on who has done the most to forward society in the face of challenge or adversity.